Okay, maybe not Socrates...but if you're in the fitness industry, chances are you've heard that theory more than once. I've been coaching/training others for 6+ years and I have yet to meet anyone who hasn't felt the benefit of proper nutrition. So you've got your TrueCoach clients rocking and rolling on their workouts, but what about the other 23 hours of the day? In this article i'll share some ways our coaches have leveraged the tools in TrueCoach to help provide their clients with nutrition programming and take on nutrition-only clients. Every coach is unique in their approach to nutrition coaching, so take the ideas you like and leave the rest! If you have your clients weigh and measure their food like I do, this is the perfect foundation to understand your clients' eating habits. 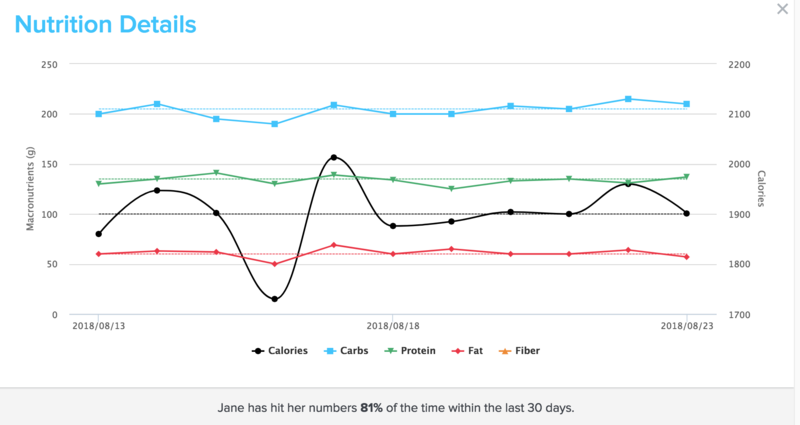 Our nutrition tracker allows you to see daily entries of your clients' macronutrient intake so you can see how compliant they are with the goals you've assigned them. I can see from the chart that overall Jane is doing a great job of following her numbers. This makes it easy to see when your clients trend high or low on a specific macronutrient, so you can adjust a meal plan or make some suggestions as needed. 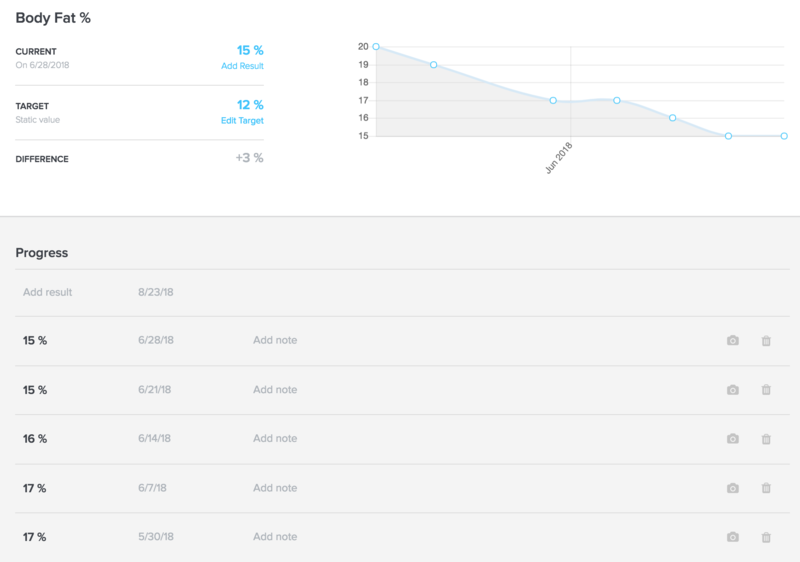 Metrics let you track progress on any specific measurement. While these work great for movements or physical tests, this is also the best place to track things like bodyweight, body fat percentage, and anatomical measurements. Your clients can update these numbers as often as they'd like right from their profile in the app. Create a metric set for the information you need to make sure your guidelines are right for each client. Once your clients start updating their metrics we'll graph each data point for both of you to see. Losing weight can be discouraging when you don't see a difference in the mirror everyday! I know I've had plenty of clients who don't see their progress as clearly as I do, so providing a visual graph is a great way to say...hey, check out how you HAVE improved so far. 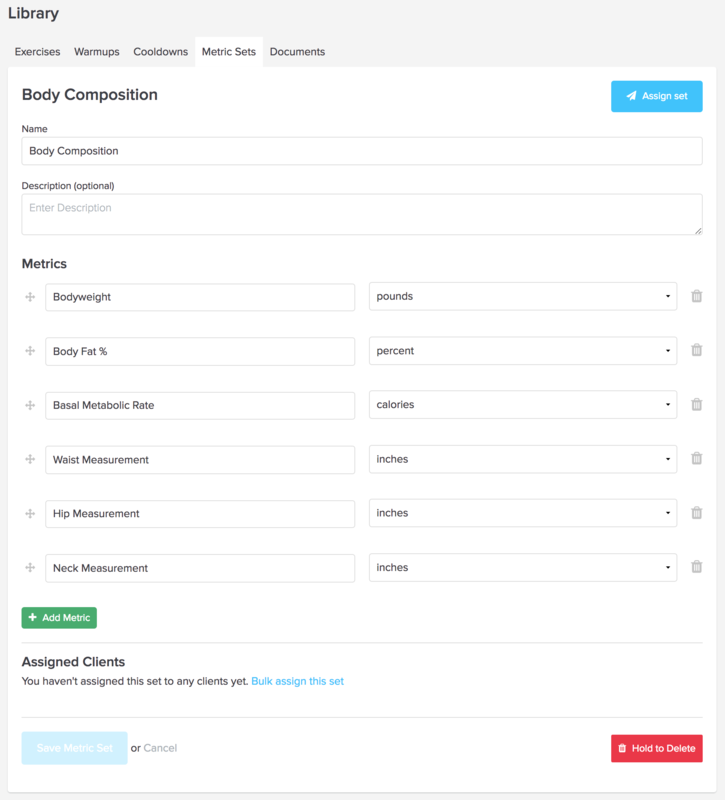 One of my favorite parts of TrueCoach is the workout builder. You could write anything in the exercise field, shoot a quick video, and have your clients doing the macarena with shake weights in either hand. 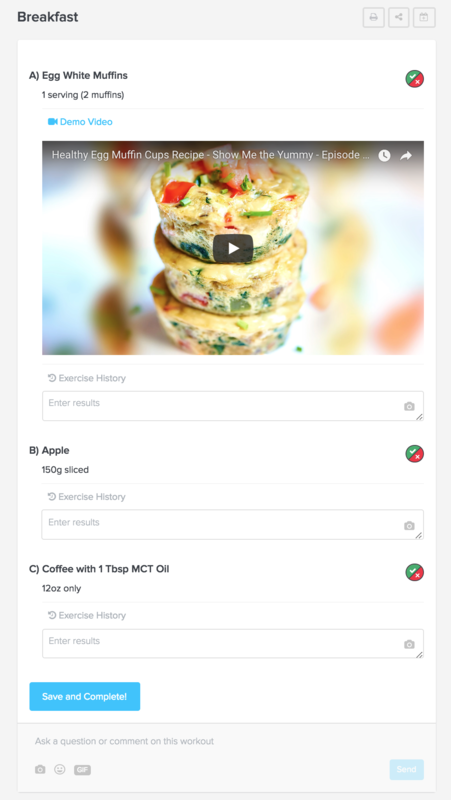 So, what's to stop you from using the workout builder to collect nutrition info? If you collect information or updates on a regular basis, the best way to do this is in the workout builder if you don't want to remind your clients in a message each week. I would assign my clients a weekly check-in where I have them update their metrics right from that workout. You could copy and paste this workout on every Sunday, or even include it as part of a Program! Read more on how to link metrics to workouts here. Now that we've established a couple ways to use the workout builder for nutrition, it's likely you'll use similar methods for multiple clients. Rather than using copy/paste like it's going out of style, save all of these 'workouts' in a program! Clearly those are just some ideas and you can get as broad or specific as you'd like! Chances are you've got clients who might need more/less fuel on certain days based on their workout program. For example, a client training for a triathlon might need significantly more calories on a mock race day then a rest or recovery day. If you use the skeleton tool to plan out their training, you can also use it to plan out their nutrition. If you can't tell, there are tons of ways to make TrueCoach your one-stop-shop for all of your client's needs. We're always looking for fresh ideas, so if you have any to share please send them our way!